The Catholic Bishops Conference of Papua New Guinea and Solomon Islands (CBC PNGSI) opened its new building just this week in Port Moresby. In a small but significant event held on the ground floor of the new building: CBC staff members, the media, and distinguished guests like PNG’s Founding Father and the Prime Minister were also present to witness the occasion. Grand Chief Sir Michael Somare, the Founding Father of the nation, made mention in his speech that he had not expected the CBC building to be as magnificent as it was in its finished state. “When someone thinks of something, they have to plan for it; and when they plan for it, they have to raise resources for it,” said Sir Michael. Prime Minister Peter O’Neil stated in his concluding speech that it was important for the government to support the work of the churches who were helping the country in spiritual growth. “The churches and government must work hand in hand together to make sure that the people of PNG get the services they need,” said Mr O’Neil. The Building was estimated to have costed K12.22 million – K3 million of which the government had donated towards its establishment. 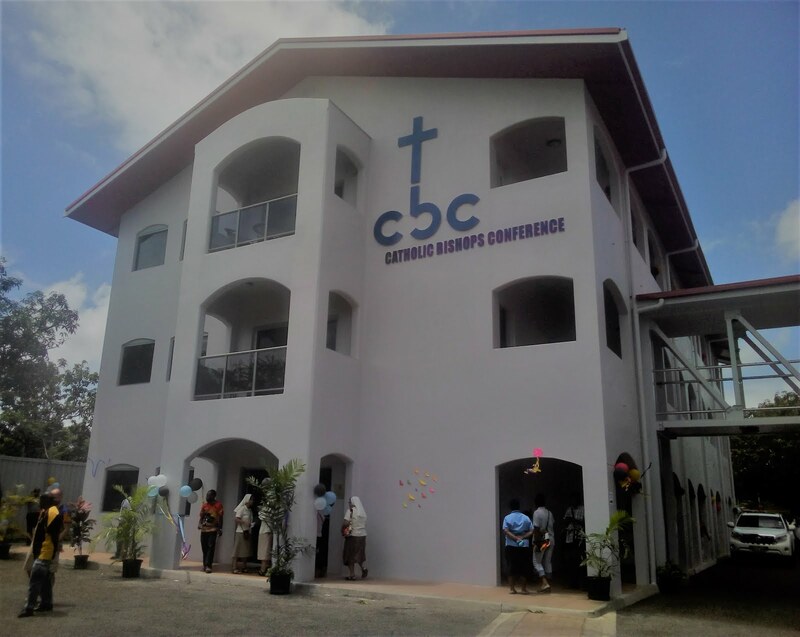 According to CBC General Secretary Reverend Father Victor Roche, there is also space for commission of communication such as a recording studio with the possibility of a future radio or television station.